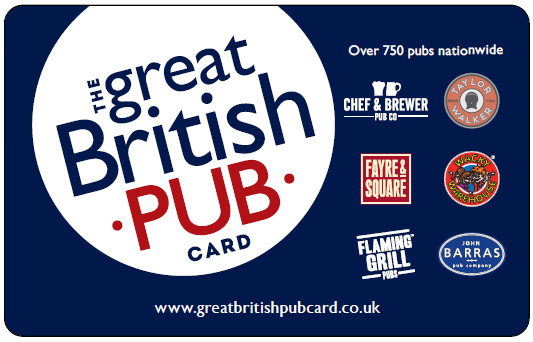 The Great British Pub e-vouchers available from 1st November! Starting with 1st November we will deactivate Flaming Grill in UK and replace it with The Great British Pub. These are digital codes that can be redeemed against food and drink in over 750 pubs nationwide. They are redeemable on popular brand such; including The Flaming Grill and Wacky Warehouse.